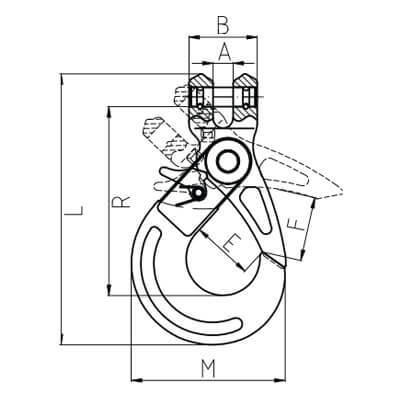 All 2 leg chain slings with clevis hooks are tested & certified to meet performance requirements of EN 818-4, using European manufactured chain. Grade 100 is commonly used due to its increase in load capacity of +25% over the same size grade 80. Important: WLL based upon angle of 0 - 45°. Using a choke hitch on chain will result in a 20% reduction of marked WLL. All 2 leg lifting chain slings are made to order and therefore we do not accept returns on these items. If you require a longer reach than 6 metres please contact our sales and technical team on 01302 752 504 for further information. High tensile grade 100 alloy steel. 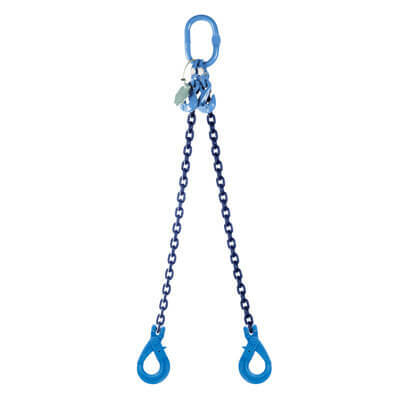 2 leg chain slings with clevis self locking hooks are supplied with a 2 metre reach (bearing surface to bearing surface), you can simply add extra chain by metre reach for required length. Higher grade 100 alloy steel has the added benefits of increased toughness and longer service life. Lifting chain sizes available: 6mm, 8mm, 10mm, 13mm, 16mm, 19mm, 20mm and 22mm. Self locking hooks automatically lock the latch once a load is applied, providing extra safety. 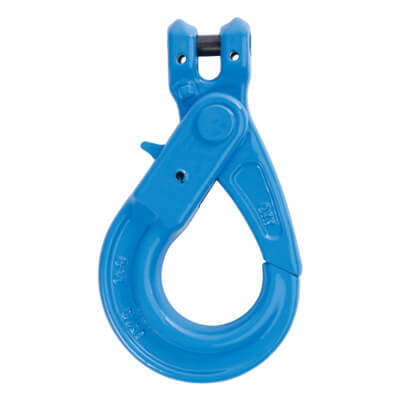 Grab hooks included for easy length adjustment (Never tie knots in lifting chain). Each chain sling is supplied with the relevant test certification and ID tag. Grade 100 chain is suitable for use in a temperature range of -40°C up to 200°C without reduction in working load limit.